National Assembly’s Leader of the Opposition Khursheed Shah said that complete investigations should be carried out on the transfer of money to India. Speaking to a rally at Lower Dir, Khursheed Shah said that Peoples Party never gave up hope, even though the leaders of PPP were martyred, but never did they deceive the public. Despite being targeted via bullet or hanging in the gallows, but never left the public in despair. Benazir Bhutto liked the Pakistani public and the flag. Benazir Bhutto said that she will give new constitution for farmers and the poor. Opposition leader further said that lies are fabricated over the issue of electricity, they should be ashamed of themselves. 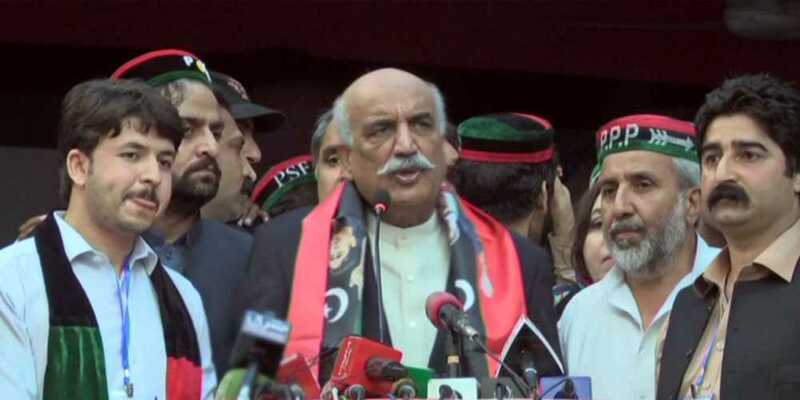 Lashing out on Nawaz League, Khursheed Shah said that all the gas of Sindh has been taken away by Punjab. Punjab is also ours, but the gas should be provided to the area where it belongs. Khursheed Shah further said that an economic corridor plan is necessary, but not over your own nation’s interests. China Pakistan Economic Corridor (CPEC) is also passing through Khyber Pakhtunkhwa, Sindh, and Balochistan, but work is only being done in Punjab.